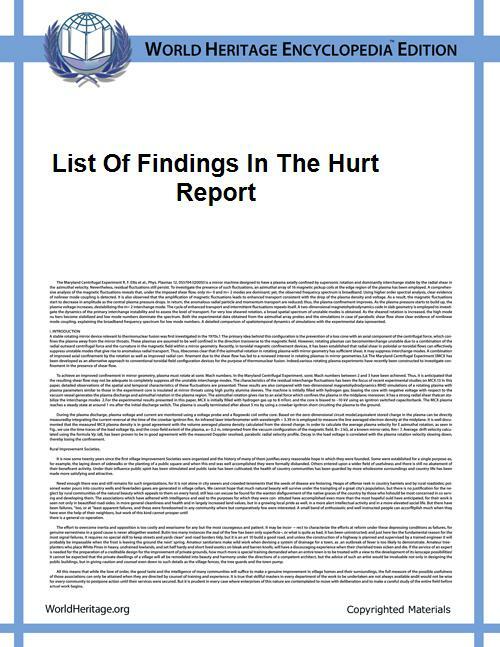 This is the list of Findings in section 12.1 (pages 416-419) of the Hurt Report. The most frequent accident configuration is the motorcycle proceeding straight then the automobile makes a left turn in front of the oncoming motorcycle. Most motorcycle accidents involve a short trip associated with shopping, errands, friends, entertainment or recreation, and the accident is likely to happen in very short time close to the trip origin. Fuel system leaks and spills are present in 62% of the motorcycle accidents in the post-crash phase. This represents an undue hazard for fire. The typical motorcycle pre-crash lines-of-sight to the traffic hazard portray no contribution of the limits of peripheral vision; more than three fourths of all accident hazards are within 45° of either side of straight ahead. Although the majority of the accident-involved motorcycle riders are male (96X), the female motorcycle riders are significantly overrepresented in the accident data. Craftsmen, laborers and students comprise most of the accident-involved motorcycle riders but the professionals, sales workers and craftsmen are underrepresented and the laborers, students and unemployed are overrepresented in the accidents. Passenger carrying motorcycles are not overrepresented in the accident data. The drivers of the other vehicle involved in collision with the motorcycle are not distinguished from other accident populations except that the ages of 20 to 29, and beyond 65 are overrepresented. Also, these drivers are generally unfamiliar with motorcycles. The likelihood of injury is extremely high in these motorcycle accidents; 98% of the multiple vehicle collisions and 96% of the single vehicle accidents resulted in some kind of injury to the motorcycle rider; 45% resulted in more than a minor injury. Voluntary safety helmet use by those accident-involved motorcycle riders was lowest for untrained, uneducated. young motorcycle riders on hot days and short trips. The use of the safety helmet is the single critical factor in the prevention or reduction of head injury; the safety helmet which complies with FMVSS 218 is a significantly effective injury countermeasure. MOTORCYCLE ACCIDENT CAUSE FACTORS AND IDENTIFICATION OF COUNTERMEASURES VOLUME I: TECHNICAL REPORT NHTSA-DOT-HS-5-01160 "The Hurt Report"